Professor Eiichi Nakamura, Department of Chemistry, has been appointed as an Honorary Professor of Tianjin University. I would like to express my most heartfelt congratulations to Professor Nakamura on this occasion. Tianjin University, formerly known as Peiyang University, was established in Tianjin city in 1895 as the first modern university in China. It was renamed to its current name in 1951 after merging with Hebei Institute of Technology. The university’s discipline layout, with a focus on engineering, encourages collaboration and development through incorporating science and engineering with economics, literature, and law. Presently, the university is a first class institution in which 14 of its 23 disciplines are among the top 10 in China. Professor Nakamura’s appointment as an Honorary Professor by Tianjin University is in recognition for his contributions thus far to physical organic chemistry, synthetic chemistry and materials science. His motto, “Scientists should provide solutions to social problems and dreams for people”, underscores his aim to realize the dreams of people, establish healthy lifestyles, and address resource and energy problems. He is a pioneer in developing a wide range of new scientific research in atomic resolution electron microscopy, organic synthesis using ubiquitous elements, and creating new materials for organic devices. 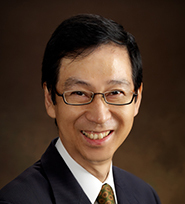 As a result of his research achievements, Professor Nakamura has received numerous awards, such as the Medal with Purple Ribbon, the Fujiwara Prize, The Chemical Society of Japan Award, The American Chemical Society Award, Royal Society of Chemistry Centenary Prize, and the Humboldt Research Award. He has also been appointed as an Honorary Professor of East China University of Science and Technology as well as an Honorary Foreign Member of the American Academy of Arts and Sciences. I extend my best wishes for Professor Nakamura’s continued success in both research and serving as a bridge for educational and research exchange with countries around the world.